Originally posted by RUMMY :Oddly enough, Ten has been dropping in my PJ album ranking of late. Obviously it's a great record (and a very "important" one) but aside from live versions of Release, Black, and Alive I would rather hear Vs through Yield these days. Not sure why that is - but it is what it is. Very good set, better than the first night. Still quite a few covers, though. I'd say N2 was better than N1 - although hearing Release still was the highlight for me. Getting It's Okay, Immortality, Whipping, STBC, and Leash was awesome! Yes, too many covers, indeed. Also, still needed more from No Code...Lukin and I'm Open are barely songs! How 'bout some Hail Hail to rock the night away or the cool groove of In My Tree?!? I stand by my earlier post about Ten...although I should add Oceans to the "awesome live" list.... I hope that one day I can fully appreciate Porch and Even Flow again. I just don't dig them anymore and I feel terrible about it! I still love Alive but it needs to end a main set or something. Like I said two years ago, I get bummed out when they start playing it because it means the show is almost over!!! Were any of you at the Wrigley show last night? How was it? You lucky ducks got "Hail Hail!" 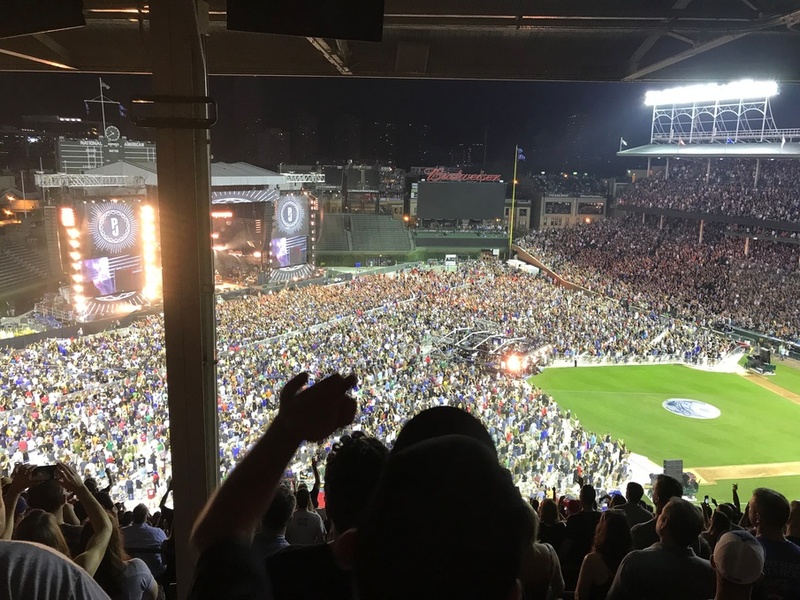 Originally posted by RUMMY :Were any of you at the Wrigley show last night? How was it? You lucky ducks got "Hail Hail!" I was there last night, my first Pearl Jam show and it was better than could imagine, full stadium, everyone sang loudly for more songs than i could count and even went past the curfew with the lights being turned on by the city to give the notice to wrap it up. That’s awesome. Congrats! They are my favorite live band in the world! Are u going tnrw night as well? I had to skip Wrigley this year but I will be at both Fenway shows in a few weeks. Nope, thunderstorms for Monday as of right now, but I will definitely catch them again, Fenway will be great! Yep! And it's probably going to rain very heavily tomorrow. Anyway, bring ponchos for sure! Enjoy the show tonight, Nick - and Tuesday as well! Same goes for any others attending - Dave?